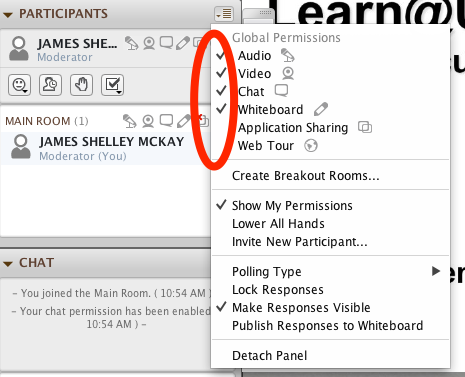 Use cases and descriptions for using Blackboard Collaborate for a Small Group Meeting. Examples: Weekly, Monthly, Quarterly or otherwise ongoing Department Chair Meeting, Executive Committee Meeting etc. 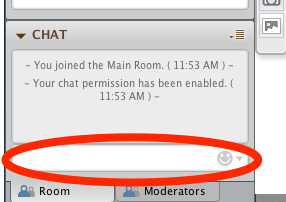 Tools Needed: Video, Audio, Application Sharing, Chat, File Transfer. Recommended Organization: For small groups you should take the first meeting to simply get all participants comfortable with the tool and its features so all participants can use all tools. 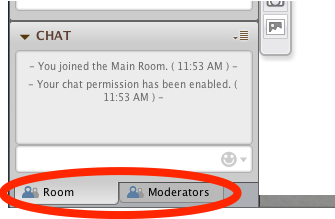 Always select someone to "host" or be head moderator and actually run the meeting. To ensure the session runs smoothly, log-on 15-30 minutes early to set-up audio and video and load content. For this scenario we recommend using google docs in Application Sharing rather than the whiteboard for any notes or agenda. To use google docs simply have the head moderator share their screen in Application Sharing and then pull up the google doc in a web browser. While the head moderator can arrange their screen so they can see both the video feed and the document, it works better if they use two screens, with Collaborate running on one screen and the google doc on the other. 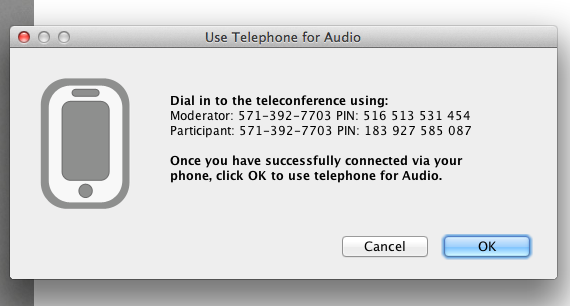 To activate the Telephony feature of Blackboard Collaborate, simply click on the tools menu, scroll down to Telephony and click "Use Telephone for Audio"
Please note that the number given is a Virginia number and is long distance, this could be an issue for people using landlines. 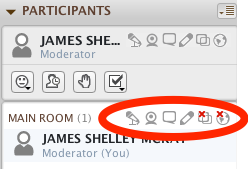 Also note that all telephony users will get lumped onto the same stream, so if you create breakout rooms, they will all have to be part of the same break out room. Finally, be aware that you as the moderator cannot control the audio of telephony users, you cannot turn off their Telephony nor can you mute them. You will need to remind them to mute themselves or to be conscious of any background noise at their location.